This autumn is the perfect time to experiment with colour. Usually around this time of year I start to go into hibernate mode, taking comfort in grey jumpers and black boots. 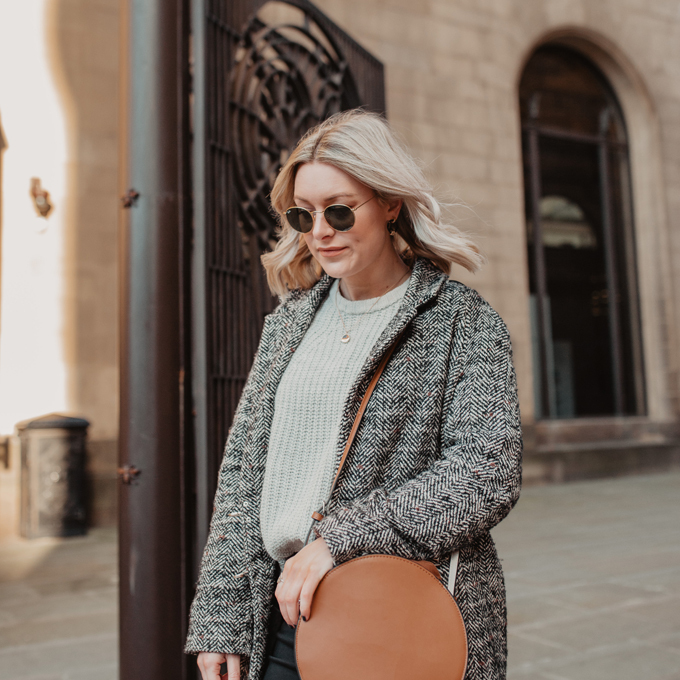 But this year, sees the return of colour to my wardrobe, retro mustards and bright reds are making their mark on the high street and I am loving it. My trusty black biker jacket has served me well, but coming up to autumn this year I thought it was about time for a change, (I did buy it when I was about 16 tbf). So when I saw this mustard number from Asos I thought it was the perfect new season replacement. I find buying bolder colours a little daunting, as it can be tempting to ‘play it safe’ with classic blacks and greys, but I’ve recently found investing in colour can really pay off. Here’s how you can easily add a little more colour to your wardrobe this autumn winter. If like me, you usually buy key pieces in a classic black, be brave and try swapping them with a brighter colour this autumn. 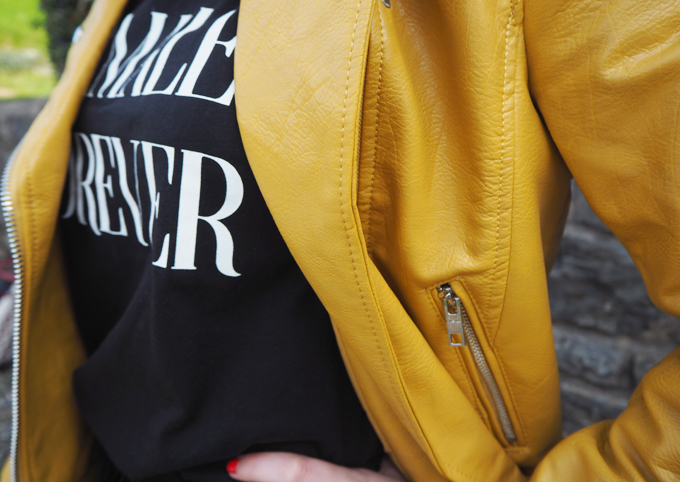 Investment pieces such as biker jackets or ankle boots can make a real statement in a bold colour. It might seem a little scary but buying that one key piece can make such a difference to your wardrobe. 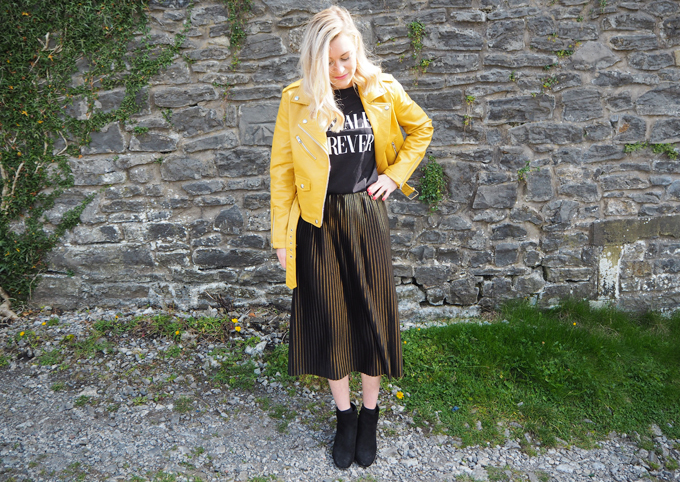 You don’t need to desert black altogether, throw on a mustard jacket over your favourite black basics and away you go. I am a big fan of a classic black boot for winter but I have my eye on a bright red pair this season. I used to think buying ‘safe’ tones meant I’d get more wear out of it and therefore be worth the investment. But classic colours like red and mustard will go with a variety of styles and can often be carried through to spring summer too, making your money go further. If you want to start small, add a pop of colour with accessories. Bright tassel earrings are big this season and are a great way to bring colour to a simple outfit. 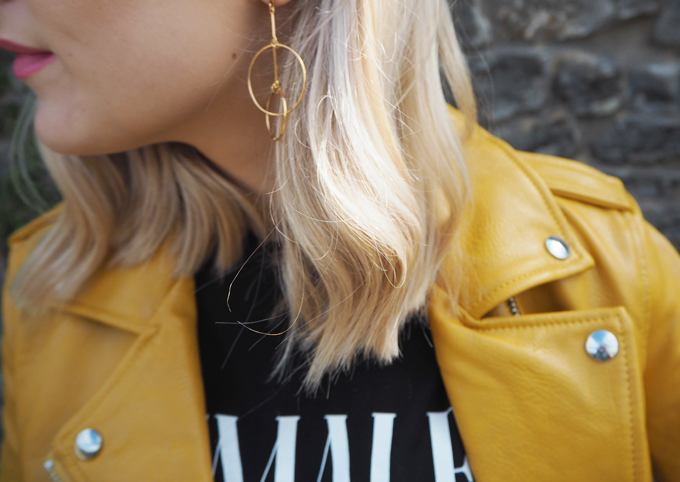 You’ll have probably seen those H&M earrings everyone was loving on Instagram over summer, grab a few in the latest tones and wear from day to night for an instant colour hit. I love buying vibrant across the body bags to help add colour to my everyday look. 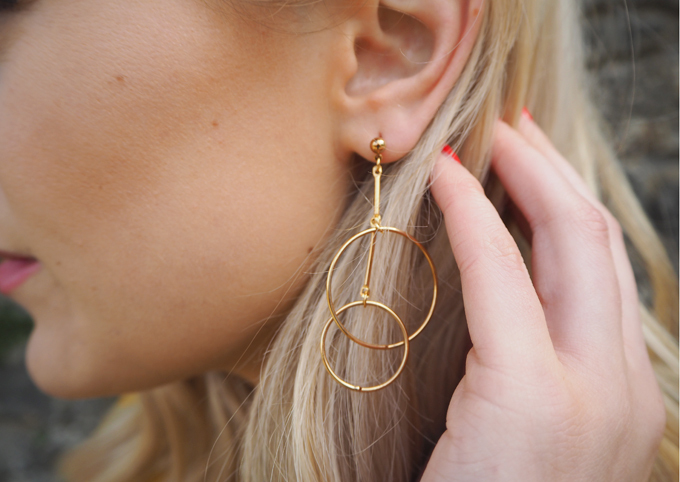 They are easy to swap in and out and can finish off a look perfectly. 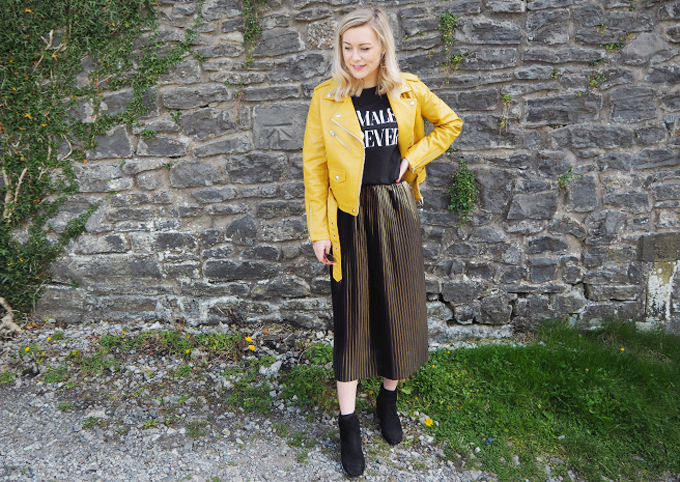 My favourite trend this summer was the slogan tee, and luckily they are sticking around for winter too. I really like the way you can add colour to a plain tee with a simple slogan. My favourite was red lettering on a grey shirt, mix in a french saying and you are on to a winner. Sometimes the best accessory to any outfit is a bold lipstick. I love experimenting with beauty and often find a brighter lipstick can be the perfect touch needed to transform an outfit. This is usually my go to look on a night out, a red lip paired with a bold bag or pair of shoes and suddenly that all black outfit stands out from the crowd. Earrings, Happiness Boutique, read my post about statement earrings here. What are you waiting for, get colour popping! I love having fun with fashion and this season is a great time to be brave and go bold when it comes to colour. 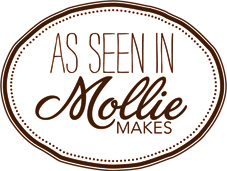 I would love to hear what trends you are loving this A/W, feel free to leave a comment below or tweet me here. That jacket is gorgeous and really suits you ! As I type this I’m actually dressed head to toe in black and grey .. very dull! Might try and find myself a lovely new bag for a pop of colour this Autumn, such a great idea! Thank you! Ah yes I am the same but I’ve been loving adding little pops of colour recently! Yeeehh go for it girl! I loved this post! I don’t stray far from neutrals, but I like the idea of using slogan/graphic tees to add a bit of color to an outfit. Thank you! Yes totally agree, its such a fun way to add a little colour isn’t it!? I love this outfit! 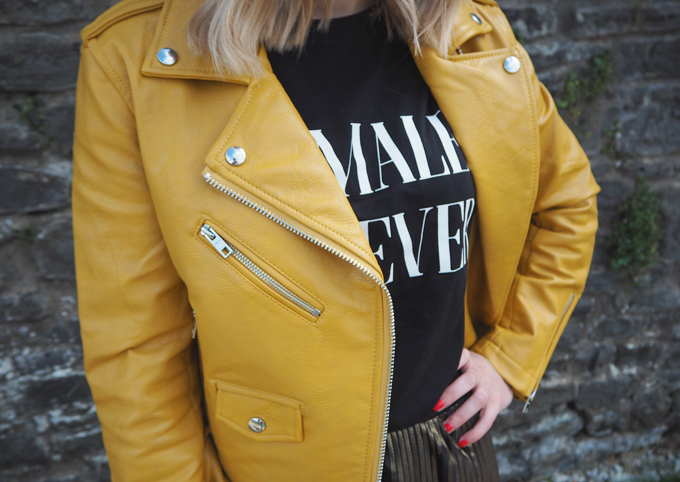 I’m very into mustard yellow this season and I’m definitely going to try and incorporate more of it into my wardrobe, and colour in general! I’ve previously been the same – I tend to stick to black, grey or navy jumpers!